The original Newbie Style Challenge was a blast, so I’m bringing it baaaaaaack!! This is Newbie Style Challenge II, the same rules apply but the spending limit has been raised to $550L (about $2.50US) cos we do want to encourage new players to spend some money and not rely entirely on freebies. I chose $550L cos that’s the minimum amount of Lindens that can be purchased via the BUY $L button in-world. This challenge starts now, November 4th, and ends on December 31st. If you do this challenge, please blog your look and leave a link in the comments of this post, or share your image to the Blog Challenge Flickr group with style credits so I can do a recap when it’s over. Like last year, I will create a new alt for this challenge, so I don’t “cheat” or make a mistake and use items already in my inventory. A lot of people still want avatars with a last name, and I think most of the registration portals are gone, except there are still a few out there that has some last names available. I saw someone posted a link to this recently, and it worked for me. Gogo – can we use the newb freebies if we create a new av for it? You know, the “under 30 days” gifts? Good luck and fun to all! OMG! I love you for posting the lastnames. Finally I don’t have use those stinking resident names! I saw someone with a last name was a few days old. Great to see this come round again. I made my rules MUCH more strict than yours *wink*, but had a great time. Thanks for that last name link. What a find! Can I use my old alt who never got out of newbie phase provided she only wear things acquired in those dates and a shape? Or does it need to be a new avie? hi Laura! You can definitely use any alt/av you want, even your main av, as long as everything is recently acquired and follows with the challenge guidelines. This was very difficult, but fun! Oh hells to the yeah…last names! !…gawd…why did SL ever take those away…ty ty ty for listing that link….one Philomena Ashland is now created and off to start her shopping with her $550L in hand. Love it! My try: 487L and I use my existing shape. Not a blogger but couldn’t resist. Decided to fix up a friend’s Male avie. This is awesome, and horrid at the same time. I loved doing it. Thanks for the great challenge GOGO! This was awesome and horrid at the same time. I loved doing it! Thanks so much for the great challenge GOGO! Grm. I work too fast, those boots cost 250 instead of 200. I need to edit the entry, take off the sunglasses or find freebie sunglasses. Thanks for the challenge! I did this last year, but never posted anything on it, so I decided I would this year. The total for the male av is $532L. The total for the female is $85L. Style Credits with links are in the description. That’s so great Chelle and ty for the info about LoB, but for some reason it only gives me a blank web page? Here’s part one to my challenge. I created a child avatar for this part, and I’ll be doing an adult avatar for my next part! I, for one, love love love this challenge. Thanks for posting it again, Gogo! Pingback: Newbie challange II ! « Dawnde's wearing what?! Hmm… now why do I have this sneaking suspicion you did that on porpoise Gogo…? I agree! Finding great shoes that are freebies/cheapies is a big challenge. As a help to those doing this challenge, Pink Label has 3 boxes at Free Dove. Two are for women. One contains a gown and matching shoes which also texture change to a brown/black snakeskin. The other contains a pair of sneakers with a casual outfit. The third box is a casual outfit for men which includes a pair of black sneakers. 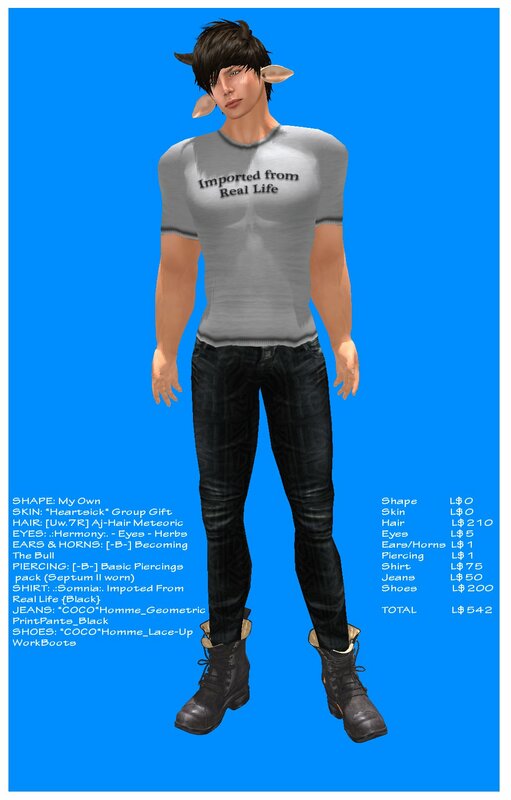 Here is the fun I had with this Challenge….This is such fun and to really look and see the great values out there in the world of SL. Awesome challenge once again. Oddly I found it easier to do the guy newb! Here’s my little flikr page. Doing this was so fun! I’m in! With at least one avatar, and likely a lot more! Hee hee. What fun this was to do! Great idea! Here is my contribution. I had a lot of fun doing it, and may do another before the month is over. Great experience. So much fun that I might do another one. Perhaps I should add my contribution here as well! Cool challenge! I had the chance to join this time and I still got 1 L$ left! Check it out! I even found a site with last names, but I won’t post the link, or else it’ll be gone too. Just holla if you want to know. Flickr pictures are also tagged. AND, since you are such a moron and published the link to register, LL found out and it obviously doesn’t work anymore. http://wp.me/p9Ikf-o0 – $L335 total spent! Pingback: Juicybomb – Newbie Challenge II! « What *IS* Willis Talking About? Pingback: More Newbie Challenge II! « What *IS* Willis Talking About? This was a really fun challenge! More um, challenging, than I expected, lol. But way cool! The Mens Supra Muska Skytop Shoes at its exterior using the snap closure. An adjustable belt for the supra uk has two benefits. I cant believe you ruined one of the last ways to get a last name with this stupid challenge. Fantastic. Actually, there are portals around. I won’t link it here, but you can search for it. I mentioned one of a few portals that are opened, so a bunch of people could create alts for this challenge. Also, I didn’t “RUIN” it, Lindens did. Last names have been officially gone for more than a year. I think this is a great challenge, not stupid at all. And while its regrettable that the Lindens seem to have closed some portals as a result of heightened exposure, I don’t think its fair to expect GOGO to have known that would be a result of her blog. This challenge is the kind of blog we need more of if we want to help new people gain comfort in returning to SL. It shows new folks many options, -AND- those options are spread around SL, causing them to learn that exploring is both worthwhile and fun. If they could put a blog article on the Destination Guide, I’d nominate this challenge. Want to see the return of legacy names? Of course you do. Please vote and comment on this issue. Status is: Awaiting Review. Word is (possibly rumor of course) that Rod will have comments or an announcement in January.